Zach has had a thing for ancient Egypt for a while & when he found out I studied ceramics he was immediately interested in doing more research about canopic jars. 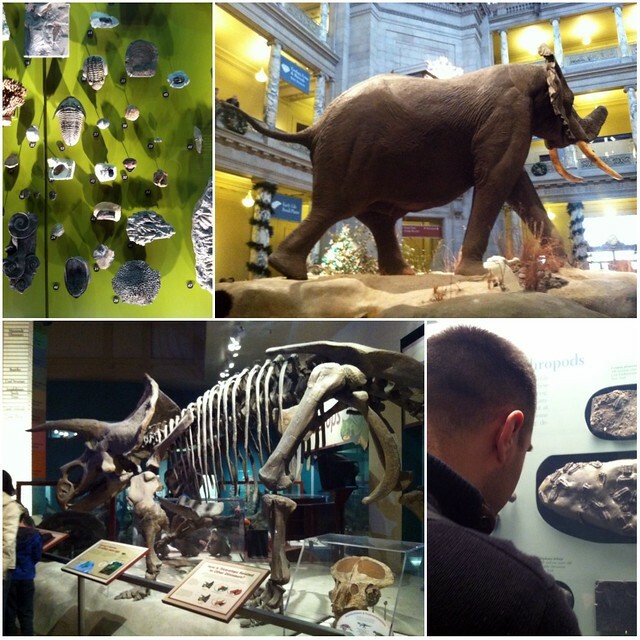 While we were at the Museum of Natural History he carefully studied the ones on display. When we went to the Library of Congress he'd already researched some books to check out about Canopic Jars & how they were constructed. So after we got our library cards (a big ordeal that sent us back and forth through tunnels between buildings) we set out to check out these books. Unfortunately, the 4 volume set of books that I was to check out was not available but his small book on the dimensions & materials used to make canopic jars was. 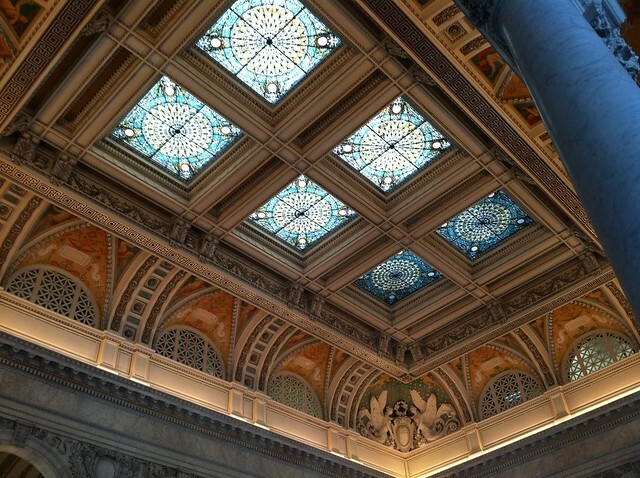 We sat in the giant Main Reading Room for about 45 min while they brought our books up. It was pretty cool. There were a few people in their doing 'scholarly' research & I felt like we were the only ones in there for novelty. Zach was excited though. He thumbed through that book like he was doing doctoral research. Even suggested to me that this could be the start of a thesis for me for an MFA. I laughed (my MFA has a long ways from being decided on). 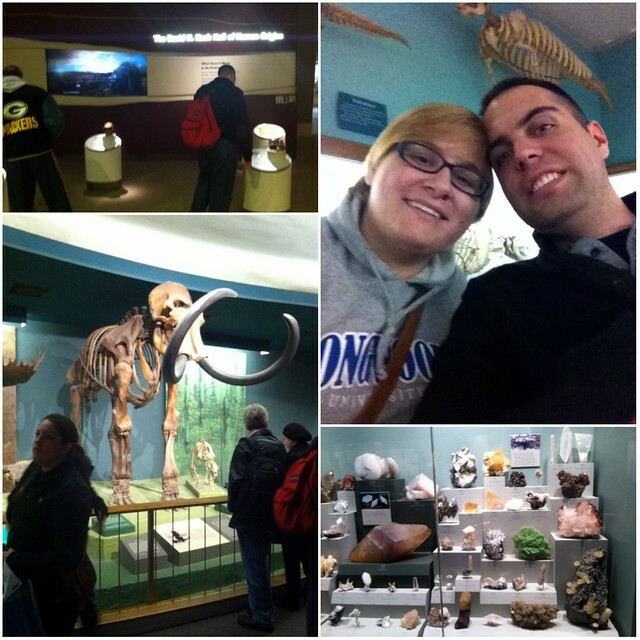 Like I mentioned in the first post, it's amazing the different things Zach & I take away from each experience. 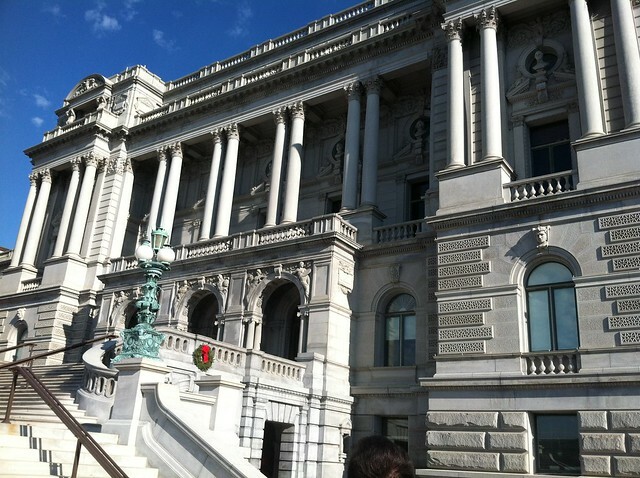 Labels: Architecture, life, random, travel, Washington D.C.
we just went to DC too! Good pictures make such a difference in the presenation of a post! Love it! Im about to post our "adventures" to DC in just a bit. Nice design. I like this information.